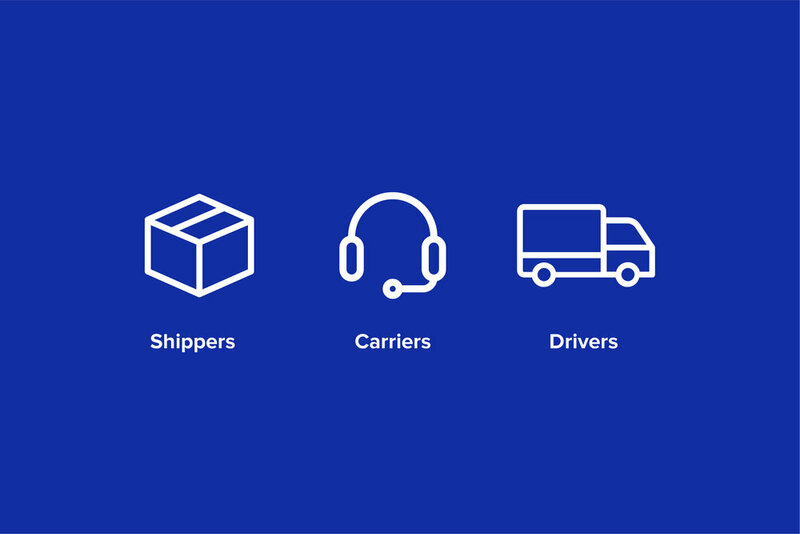 Giving carriers the ability to book, manage, and get paid on freight hauled for Echo. Create new solutions for a transportation industry using decades old technology and drivers who still relying on pen and paper to document when their shipments have been delivered. This leads to costly clerical and accounting errors that hurt the industry as a whole. — Doug Waggoner, Chairman of the Board of Directors and Chief Executive Officer at Echo. Shippers. Carriers. Drivers. Eight Bit Studios was hired to help simplify the way carriers and shippers communicate with each other. To understand the scale of the problem, we immersed ourselves in the world of transportation — interviewing operation specialists at Echo, dispatchers at carriers, and truck drivers in mid-delivery to see where the rubber meets the road. We examined the entire lifecycle of a shipment from original order through to final delivery. We looked at the tools being used to see what worked and what didn’t. We created a journey map that become the cornerstone of the project and fixture inside the Echo walls. Our research and insights came together in a mobile app (iOS and Android) for the drivers and a dashboard for the carriers. For drivers, we focused on the most important details of their shipment so that pickups and deliveries went smoothly and neatly organized the rest of the shipment information into a digestible format. This allowed the drivers to focus on the road and less on the minutiae. We also made it easier for drivers to check-in with Echo and report any issues on the road. The platform's load management tool and document upload capabilities streamline operations, keeping dispatchers organized and helping drivers get back on the road faster. EchoDrive users get real-time access to search, view, and bid on available freight, reducing the effort associated with finding freight for their available equipment. For the shippers and carriers, what mattered most to them was to be able to quickly identify and address issues that come up. The dashboard tracks the progress of the shipment and highlights any red flags or issues in the driver's journey. — Dave Menzel, President and Chief Operating Officer at Echo. The dashboard organizes a wealth of information into an easy-to-read format. Users can scan details about the shipment without having to dig through rows and rows of data.